If you have young trees on your property, they will need pruning to ensure small problems don’t become big issues in the future. Mature trees need pruning to take care of problems that were not attended to earlier. 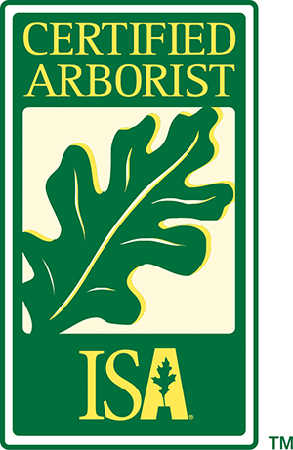 Conflicts with structures, public rights of way, hazardous branches, etc are common issues that require an arborist. Shrub pruning is a frequently neglected area by many landscape and tree care companies. Often the only "pruning" done is little more than shaping with a power hedge trimmer. While this is the cheapest method of handling shrub and hedge growth, it is not the best for the plant in the long run. All shrubs just like trees need to be properly pruned. Removing a tree is never an easy decision. It takes generations to grow a tree to maturity and within hours that tree can be gone, forever changing your property's appearance and value. Unfortunately, some situations leave us with no alternative. If you have a high-risk tree on your property, our arborists can help you remove it safely. Stump grinding is a quick and easy way to get rid of unwanted and unsightly tree stumps at your home or business in Winnipeg. A stump grinder is a small machine that is used to grind the stump into wood chips. The stump is reduced to a mixture of wood chips and soil mix from the surrounding soil. Most stumps are ground 6-12 inches deep. If your tree is at risk of splitting due to high winds or if it has developed a branch or trunk split it may be possible to cable and brace the tree to support the weakened structure and pro-long the life of the tree. The arborist will look at the condition of the rest of the tree to see if there are any more visible defects which may affect this decision. Trees add value to our properties and our neighbourhoods. Take advantage of our tree consultation service to ensure your trees remain vibrant and strong. We'll visit your property and assess your trees and shrubs on their overall health and condition. We'll also provide advice in terms of suggested care and planting guidance if you require it. Parkland Tree Care is composed of a team of dedicated arborists serving home and business owners throughout Winnipeg and surrounding areas. We offer comprehensive tree care solutions including dangerous tree removal, tree and shrub pruning, tree inspection and stump grinding. Hiring someone to look after your trees is not something to take lightly. Pruning large trees can be dangerous work and should only be performed by those trained and equipped to work safely in trees. That's where we come in. We are trained in and promote proper tree maintenance, specializing in both tree and shrub care. Well cared for trees are attractive and add considerable value to your property. Poorly cared for trees are a significant liability which can affect safety and property values. Parkland Tree Care was established in 1991 by Carl Epp. We have been caring for residential and commercial property trees and shrubs ever since. Our locally owned and operated business was started with a vision of providing quality care of your trees and shrubs and this remains our primary focus today. 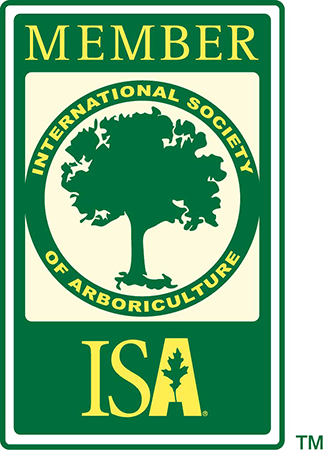 Carl is an ISA (International Society of Arboriculture) Certified Arborist PR-0257A. He also obtained his B.Sc. degree in Agriculture from the University of Manitoba and has the designation of Journeyman Landscape Gardener (Alberta). Due to a co-dominant trunk this Green Ash tree developed a split. The tree was subsequently cabled to extend its life. Proper structural pruning within a few years of planting could have prevented this from occurring and would have eliminated the need for a tree cable. This American elm tree grows right through the middle of the sunroom in this house. We were asked to provide pruning. This Linden tree had a crack and decayed trunk hollow from ground level to the upper crown. It was removed due to the risk it posed. This Linden tree died because of re-landscaping. The existing front yard sod and top soil had been stripped and replaced. The tree died within one year as a result of the root loss, soil compaction from skid steer operation and from the change in soil grade. Your team did a great job! Thank you for a nice job on my apple tree. It was a joy to watch the women work on the tree. Thank you for the good care of my Basswood. And, as always, it was fun to watch the crew climb the tree. Thank you for a job well done. It’s good to find a small company with integrity, and an honourable business practice. Your team did a very nice job here yesterday. Thank you!